← Let’s Elect Warren Buffett for President! He has the guts to raise taxes on the rich! 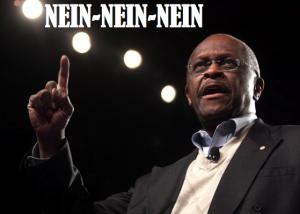 I cannot figure out what Herman Cain is…can you? Is he animal, mineral, or vegetable? I get the feeling at times that this pizza guy ate one pepperoni too much. Or that he is just too full of sausage or mozzarella. Or do I smell anchovies? His nein-nein-nein final solution (aka, 9-9-9) to our country’s fiscal problems would plunge our country into a depression from which we would never recover. Imagine only taxing the rich 9% of their incomes; they presently pay around 15%. Think of the dramatic increase in poverty resulting from imposing 9% taxes on the incomes of the poor as well as on every purchase made by the poor, including those for basic everyday living expenses. Instead of the poor receiving a much needed, helping hand in the form of tax credits, they would be shot with a double-barrel shotgun blast of two taxes! Talk about class warfare, my dear Paul Ryan: that’s a very confused–or should we say mercenary–Robin Hood stealing from the poor to give to the rich. This guy actually graduated with a degree in mathematics?!?! It must be some sort of new math because I cannot figure out his 9-9-9 answer to our country’s never-ending recession (which in reality is a depression, but the politicians and banksters are too afraid to tell us so). Can you follow his math?! Perhaps he forgot to carry a 1 somewhere? But Cain is not pure evil in his Garden of Pizzas: he would not kill the super big and enormously profitable corporations with a triple tax. Unlike his biblical predecessor, he would lovingly spare the corporations from a fate that Republicans regard worse than death: i.e., an income tax. God bless this servant of the Lord. And I love his take on those suffering Americans without a job: “Don’t blame Wall Street, don’t blame the big banks, if you don’t have a job and you’re not rich, blame yourself!” Doesn’t that remark remind you of Marie Antoinette’s insensitive dismissal of the millions of starving peasants of France with her memorable, Caineseyan economic plan: “let them eat cake”? To venture this remark clearly shows that this pizza guy has three of what I only have two of; but little upstairs, if anything. I ask you, Professor Cornel West of Princeton University, is Herman Cain trying to outwit Barack Obama as the new “Black Mascot of Wall Street”? Or is he just trying to sell more books, sell more pizzas, book more honorariums, and…gosh, could it be, just make lots and lots of money with his cheesy sloganisms? Recall that Herman Cain is a motivational speaker: yeah, Herman, you already told us a million times how anyone can become a billionaire making, selling, and delivering pizzas. Yeah, we know, just look at all those Greeks rolling in dough down at the corner pizza restaurant. Nevertheless, Herman Cain is leading other Republican candidates in recent polls. Americans sure love their pizzas, especially when they are topped with cheesy slogans. Well, thought out, economic plans are too hard to digest for the American gastroeconomateur, but sugar-coated, bite-size candynomics are so much easier to swallow. And your dittoheads love them! Ask Rush. He’ll tell you. No complex mathematical algorithms or detailed campaign strategy for Herman Cain. Just simple slogans for the simple minded, who are wolfing them down as if they were double-cheese pizzas. This motivational speaker knows how to keep the kiddies coming back for more. But let’s not give too much credit to Herman Cain for the success of the 9-9-9 slogan. Remember how one politician was leading in the Republican polls four years earlier with a very similar campaign platform except for two (2) numerical digits? And do you remember how many times Rudy Giuliani, while running for President, repeated the word 9-1-1 so that it eventually assumed the appearance of his entire campaign platform? If you do, then you must be Albert Einstein reincarnated because I lost count after infinity raised to the nth power. But to Giuliani’s credit, he was not as redundant as Herman: at least he included another digit in his mystical refrain. But that’s the power of mysticism, isn’t it? 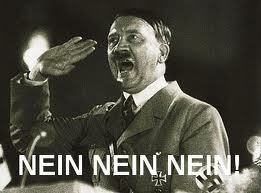 Adolf Hitler and Joeseph Goebbels brainwashed the peoples of an entire country by repeating a big lie many, many times. In fact, Goebbels further believed and said, “the bigger the lie, the more it will be believed.” Then the lie was that the Jews caused the economic depression of Germany in the 1920s and early 1930s; now it’s our oppressive taxes on corporations and the rich causing our economic misery. Herman and other Republicans exclaim, if only we eliminate taxes on both, they will benevolently create jobs here in America. Sound familiar? Isn’t this just Ronald Reagan’s Lauffer-curve, trickle-down nonsense rehashed for the present generation and the previous generations suffering from Alzheimers? Herman Cain’s tax and economic plan for America sure smells fishy to me. What’s your next cheesy slogan, Herman? A pizza in every o ven? Oops, excuse me, but did he already say that?! This entry was posted in Accountants CPA Hartford, Articles and tagged 9-9-9, Herman Cain, Herman Cain Republican candidate President 2012, let them eat pizza, nein-nein-nein. Bookmark the permalink. 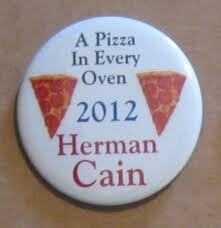 2 Responses to Herman Cain’s economic plan: let them eat pizza. The pizza guy delivers lots of anchovies with his nein-nein-nein tax proposal. Like you I am not a fan of Cain’s plan. I do think the tax code needs to be simplified and tax loopholes which benefit some groups over others should be eliminated. While a case can be made that the rich do not pay enough, it is a very small part of the problem. No matter how you restructure how much the government takes from the people (they call it government revenue) the recession will not be solved until the massively bloated federal budget is addressed. Old Keynsian policies which have been not only been proven ineffective, but have been disastrous has not worked and will never worked until people have confidence in the economy. There is way too much costly and ineffective regulation, uncertainty, and an exploding deficit that scares people. The people that might actually have disposable income do not spend it, like they have in the past, because they see 1.3 trillion dollar deficits,which is ignored by the White House and Congress and they know that it eventually has to be paid for, and they will be paying more eventually. As far as a national sales tax, that is one of the worst ideas ever. 9 percent is a draconian sales tax on top of the already high state sales taxes. So you are supposedly a conservative who wants less taxes, but you propose a third tax!! And they are naive to think that it will never be raised. Only a neocon does that. Essentially a VAT! Yes lets model ourselves after Europe, the only people that are in a bigger financial mess then we are, because of their policies. The easiest way to expand the size of government is with a VAT or national sales tax. Once in place IT WILL NEVER GO AWAY. Neocons (not traditional conservatives) love it because it funds the military industrial complex at the expense of the middle class and poor. I do like Cain’s idea of lowering personal income taxes and more importantly lowering corporate tax rates. The big boys don’t pay the taxes anyways, because they make most of their profits overseas and they don’t pay tax currently on those earnings, thus Tony’s hardware pays more corporate income tax then GE! The solution is to lower the corporate tax rate to make it more attractive to keep operations in the US. Then tax corporations like people are taxed in the US. I mean if Corporations are supposedly people with first amendment rights like the US supreme court thinks, then they should be treated the same as individuals for purposes of taxing their worldwide income. That is they report their worldwide income and pay taxes on that and not just the US net income. They can take a deduction for the foreign income taxes they pay. Lowering the rate to 15% seems to be the popular consensus. Then lower the individual rates and eliminate all the tax favored deductions. Thank you for your intelligent, well thought-out and articulated comment. Although I do disagree with some of your points, I highly respect your opinion. 1. Jobs have been going overseas because there is no level playing field. Require an international minimum wage if trade is to be internationalized. You can’t have an average wage of 90 cents per hour in China and expect manufacturing jobs to exist here in the United States as well as to have an American manufacturing base, which I believe is vital to our economy and national security. It’s why we won World War II. 2. The average CEO earned $9 million per year in 2009. Why is our GDP suffering? The lower income people who would not horde their earnings or invest it overseas are getting a smaller piece of the pie from our national economy. We need to spread the wealth, which would not only benefit those who are not CEOs but also the top 1%, because our gross domestic product would increase from the greater consumer demand. Also small businesses would be relieved from regressive property taxes since the funding of education and other social programs has been pushed down to the local governments, burdening the small guys and benefitting the multinational corporations, who have been taking their record profits and paying out bigger CEO salaries, dividends to the elite 1%, and investing overseas.